Monrovia – Since President George Weah delivered his annual message to the Legislature on Monday, January 28, the Liberian leader has been receiving lashes from the public, opposition political parties and civil society groups. One of the latest groups to critique the President’s delivery of the message and the message itself is the Center for Transparency and Accountability in Liberia (CENTAL). The integrity institution expressed disappointment in the President for not touching on the issue of corruption and how his administration intends to fight the menace. 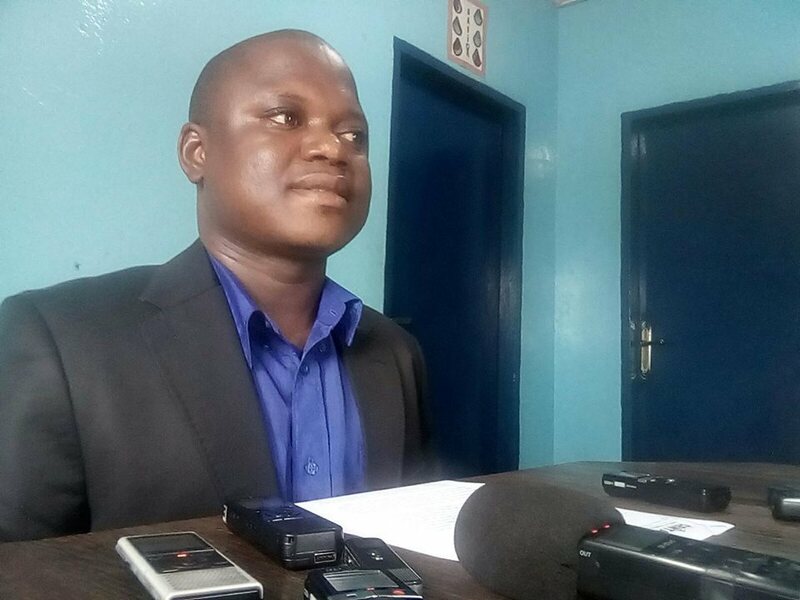 Responding to a FrontPageAfrica inquiry at a news conference in Monrovia Tuesday, January 29, the Executive Director of CENTAL, Anderson Miamen, said it was not prudent for the President not mentioning the level of corruption in government and how he intends to fight it. He noted that the pro-poor agenda cannot be achieved by government if the President fails to recognize that there is corruption in his government and his failure to tell the Liberian people how government intends to fight it. “We disappointed that he didn’t tell us how far the General Auditing Commission has gone with auditing cases in government,” he added. He, however, said CENTAL looks forward to the President implementing fully in February the reports on the L$16 billion as he mentioned in his message. Meanwhile, CENTAL has announced results of the 2018 Corruption Perception Index (CPI). CPI scores and ranks countries based on how corrupt their public sectors are perceived, drawing on 13 surveys of experts and business people. The score ranges from 0 to 100, where 0 equals the highest level of perceived corruption, while 100 equals lowest level of perceived corruption. 180 countries were targeted as it was done in 2017 by the CPI. He further disclosed that the worst performing regions are Sub-Saharan Africa with an average score of 32 since 2017, Eastern Europe and Central Asia with an average score of 35. “Although no country is free of corruption, the countries at the top share characteristics of open government, press freedom, civil liberties and independent judiciary, while countries at the bottom are characterized by widespread impunity for corruption, weak institutions and weak democratic values,” he said. He named the best performing countries in Africa as Seychelles (66), Bostwana (61), Cape Verde (57) Rwanda (56) respectively. The CENTAL boss noted that in West Africa, the best performers include Senegal (45), South Africa (43), and Ghana (41), while the worst performers are Guinea (28), Sierra Leone (30) and Liberia (32). Globally, Liberia ranks 120/180 with a CPI score of 32. In fact, Liberia’s CPI score has declined from 41 in 2012 to 32 in 2018 correspondingly, he noted. He said while a large number of countries have adopted democratic principles of governance, several are still governed by authoritarian and semi-authoritarian leaders. ‘Autocratic regimes, civil strife, weak institutions and unresponsive political systems continue to undermine anti-corruption efforts; adding that CENTAL is deeply concerned about these developments. “Limited or no efforts to comprehensively audit the past administration and prosecute allegedly corrupt officials; violation of the code of Conduct for public officials; and limited moral and financial support to public integrity institutions are counterproductive to the fight against corruption in the country,” he said.